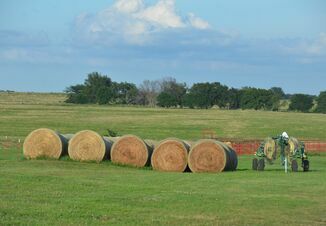 Fall is quickly approaching and harvest season is almost upon us. With that in mind, many farms will be spreading manure and pits will be agitated and emptied. 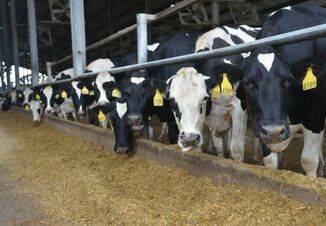 Because of the still warm temperatures and high humidity, bacterial activity increases in manure, directly increasing manure gas. Manure is an excellent and readily available source of fertilizer for many farms, however, it is important to consider the danger of gas that accompany working with manure. In June of 2015, a father and son duo from Cylinder, Iowa were both killed from manure pit gas on their Iowa hog facility (Rodgers and Eller, 2015). During a routine pumping of manure from one of the hog facility pits, the son climbed down into the pit after dropping a piece of equipment and was immediately overcome by the manure gas. His father went in after him and experienced the manure gas as well. Unfortunately, neither survived. Similarly, in 2016, a Wisconsin farmer was agitating manure in an outdoor lagoon before spreading on fields and was also overcome by manure gas (Veselka, 2016). These stories are not new news and serve to remind all of us about the importance of knowing what manure gas we need to be aware of and how we should respond in emergency situations. Four gases of major importance are ammonia (NH3), carbon dioxide (CO2), methane (CH4) and hydrogen sulfide (H2S). 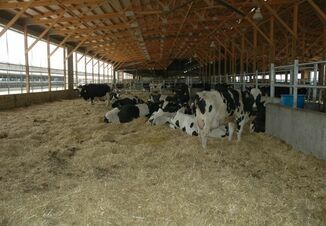 These gases are produced by microbial activity within the manure from the microbial respiration that occurs (rather than use oxygen for respiration, bacteria utilize inorganic sources like nitrogen and sulfur). The table below shows some of the characteristics of each of these gases with paragraphs detailing each one as well. There are several different types of manure gas monitors that can be utilized on the farm. The monitor used depends on the farm as well as the location of the manure storage and whether it is a confined or unconfined space. It is important to consider the type of gas you may come into contact with as well as the price that works in your budget. In table 2 below, a list of the different types of manure gas monitors are depicted by Farm and Ranch eXtension in Safety and Health (FReSH) Community of Practice (2012a) and the costs to purchase this equipment from the year 2011 (Steel et al., 2011).